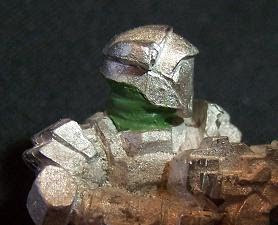 Hephesto's Forge: Tutorial - Green Stuff, dynamic posing and storing leftover modelling putty. Tutorial - Green Stuff, dynamic posing and storing leftover modelling putty. 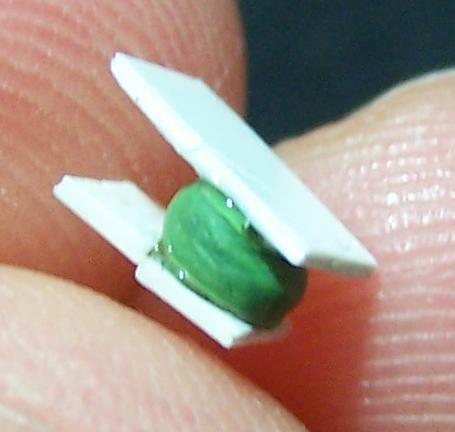 Converting miniatures has always been one of my favorite elements of the wargaming hobby. There's just something special about getting that perfect pose on a squad leader just right, even something as simple as placing a head at a slightly different angle can already make a world of difference. Over the years I have spent many an evening test fitting and refitting bits while trying to acquire some dynamic poses. This also means that I've messed my fair share of conversions, forcing me to take things apart again. 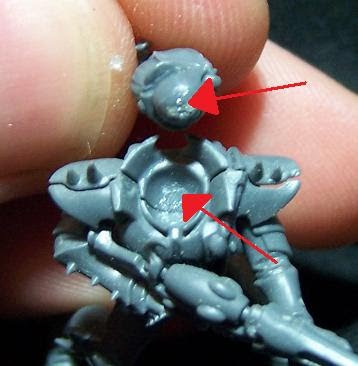 Which, as any hobbyist will tell you, can be a ordeal when dealing with glue and often suprizingly fragile plastic/white metal bits. 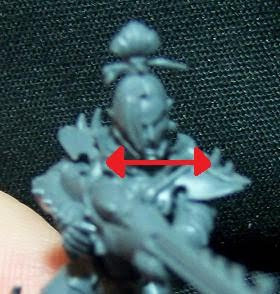 One of the tricks I have learned during those conversion-filled nights is using green stuff (and other modelling putties) during assembly. 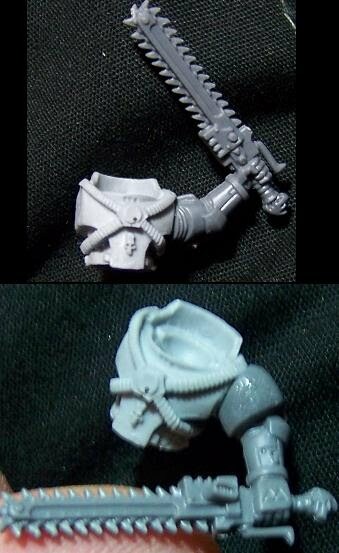 Click the picture for a closer look at these old Relictor Scouts. 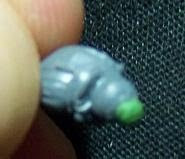 Green Stuff, and modelling putties in general, are normally used to fill gaps or for sculpting purposes. It does, however, have another charactertistic that makes it ideal during the assembly of bits that will benefit from prolonged posability - it reacts almost instantly with super glue. Next apply a small ball of modelling putty to one part, making certain it really comes into contact with the super glue. 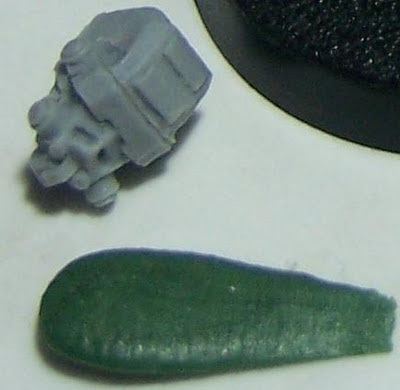 The ball of green stuff pictured below is about the right size for a head/neck socket-attachment, for arms and hands I'd suggest using a smaller amount of putty. Now press the piece unto the other bit, again making certain the ball is connecting with the superglue. Wait for a few seconds, et voila, you have a connection between two pieces that will remain flexible for a while. 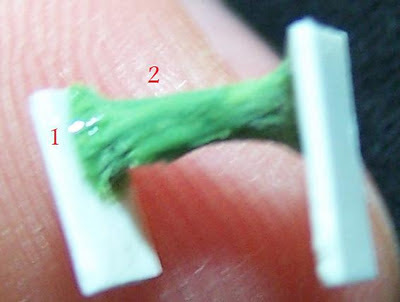 Depending on how you want to make use of this technique you may want to leave your green stuff to harden a bit more before using it. This will make it more rigid, making it more usable for heavier parts. Everybody who has used green stuff or similar modelling putties has at one time (or in my case each and every time when using it) mixed too much of the stuff, only to see it go to waste as it fully hardens in a couple of hours. 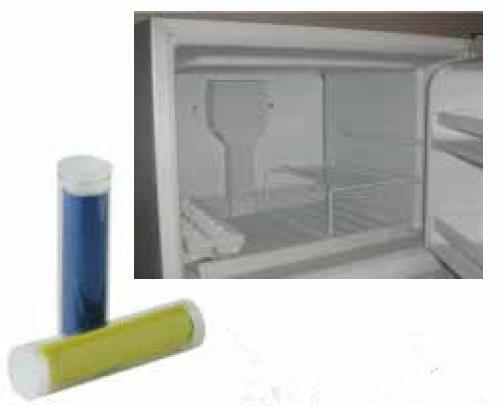 Next time you end up with unused, mixed modelling putty simply store it in the freezer. Though the effect is of limited length, it will greatly slow the hardening effect of your putty. This will give you enough time to put together another mini or two and use that excess putty, effectively expanding the time span for putty use from an hour or two to a a day or two! So keep it cool people and have fun building those miniatures! And here I thought I was the only one doing this. I really only use it to fill in gaps that I know I'll have between joints though. If it's a snug fitting joint, I'll opt out of the gs and the flexibility feature. It is indeed rather funny to see people's reaction when they open the freezer, still quite useful and save tons of putty!